very abstract. I like it. I like this one very much. Thanks for sharing with us! wow, one of my top wall so afar.....luve yer composition. Really like this wallpaper, has a style to it that makes me like it. 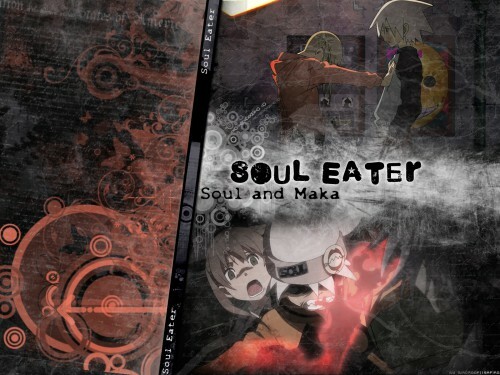 I love Soul and Maka! >w< Godd Wall! Gosto muito dos wallpapers do Soul eater. I like how you did the effects on this wall, nice job!